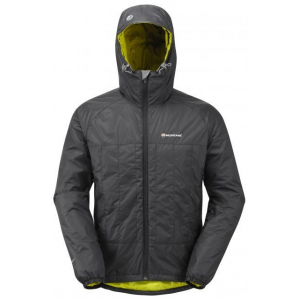 Patagonia Men's Nano-Air Light Hybrid Hoody - The Patagonia Men's Nano-Air Light Hybrid Hoody combines 40-g FullRange insulation, a flyweight shell fabric, and an airy, wicking knit for warm, stretchy, breathable performance during high-exertion, cool-weather missions. The Nano-Air revolution accelerates. 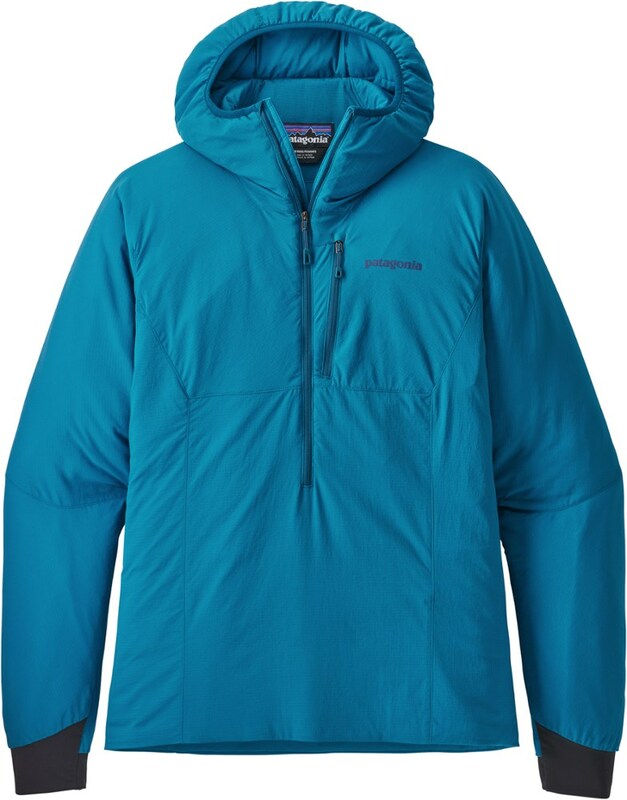 The Patagonia Nano-Air Light Hybrid Jacket delivers for high-exertion athletes and cool-weather missions by combining 40-g FullRange insulation, a flyweight shell fabric and an airy, wicking knit for warm, stretchy, breathable performance. 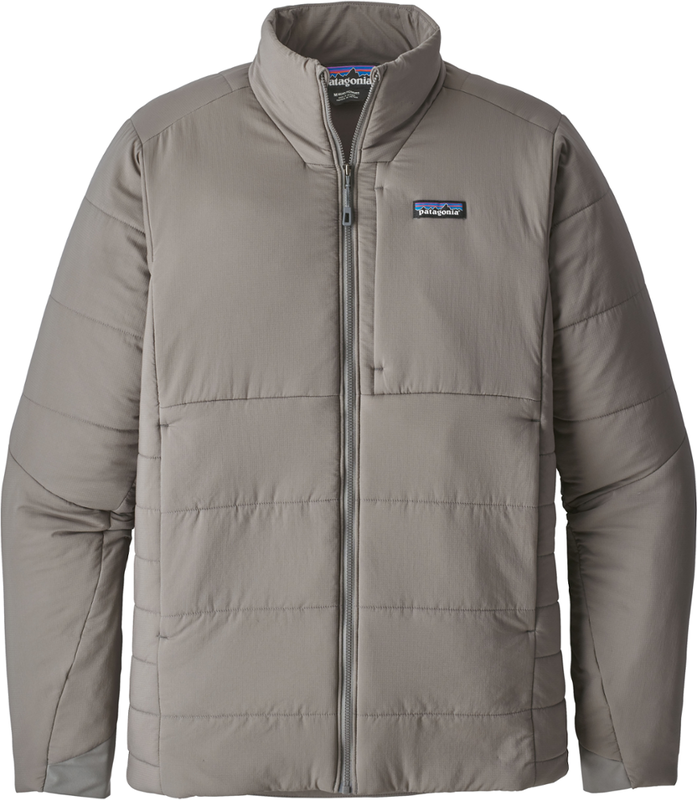 The ultralight insulation and hybrid construction of the Patagonia Nano-Air Light Hybrid jacket will keep you in the comfort sweet spot, even when you're highly active during cool-weather adventures. Created to put an end to the clam factor that often accompanies hefty aerobic effort in chilly temperatures, the Nano-Air(R) Light Hybrid Jacket will keep you at optimum operating temperature. 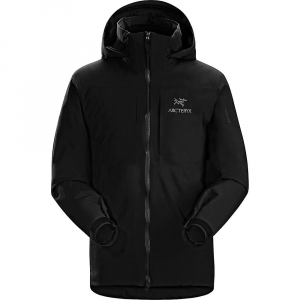 A light layer of warm, stretchy and breathable FullRange(R) insulation (40-g) is wrapped in a lightweight yet durable, 100% nylon ripstop shell with DWR (durable water repellent) finish for just the right amount of wind and weather protection up front. Everywhere else, a super stretchy, airy waffle knit swiftly wicks moisture, controls odor and dissipates heat. 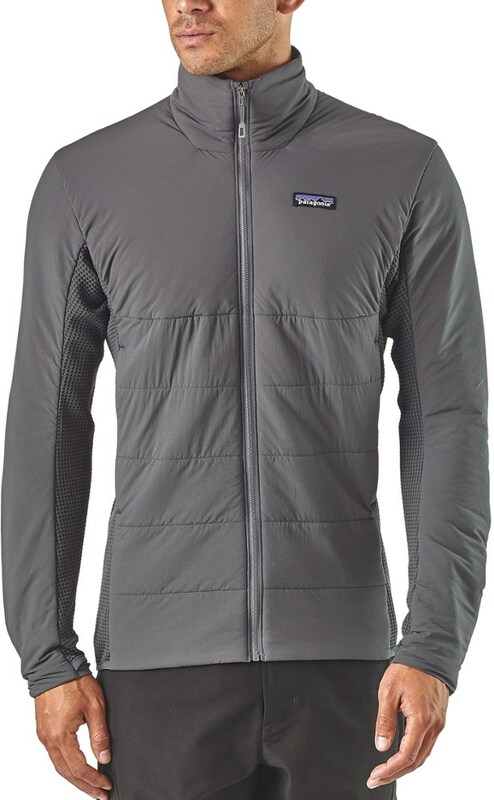 Other details include a sleek center-front zipper that tucks into a garage to stay easy on the chin, stretch-knit Variable Conditions Cuffs with thumb holes to ensure critical coverage, low-profile zippered pockets for comfort under a harness or pack, and a stretch binding hem to seal in warmth. As the old-timers used to say, "If it ain't broke, don't fix it." And while that adage might have worked just fine for your Granddad's steel frame pickup, the same philosophy doesn't apply to performance gear and clothing. 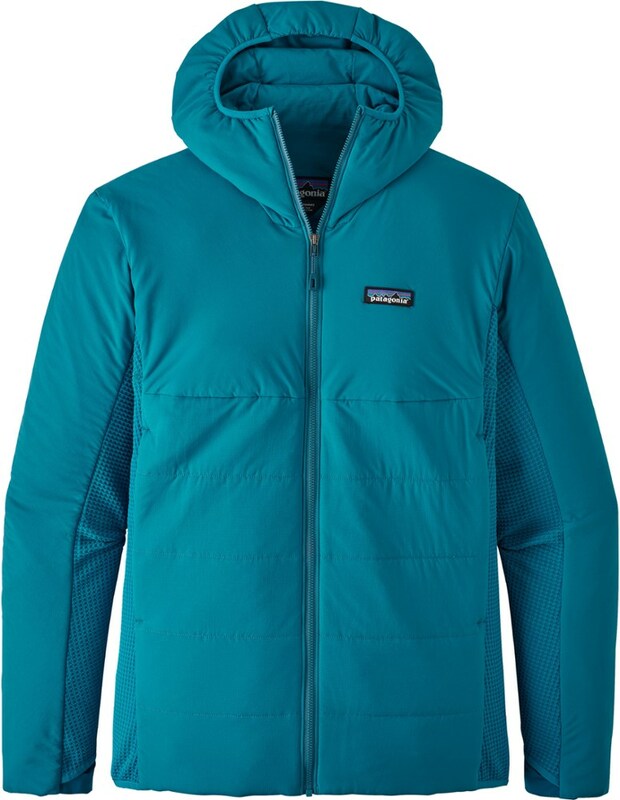 So in the spirit of innovation and preemptively fixing things that aren't broken, Patagonia brings you the Nano-Air Light Hybrid Jacket--a versatile layering piece that offers breathable and adaptive warmth for high-octane adventures in cold weather. 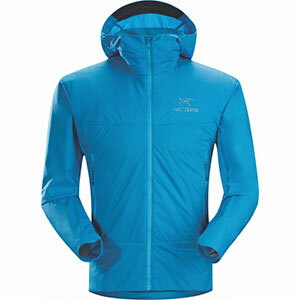 Designed for trail running, climbing, and backcountry touring, the Nano-Air Light Hybrid continues Patagonia's Nano-Air tradition with its lightweight, durable, and stretchy construction. The innovative difference in the Light Hybrid lies in its airy waffle knit construction on the underarms, sides, and back panel, which efficiently releases excess body heat, wicks moisture, and dries quickly to ensure that you avoid clamminess and discomfort to stay dry and comfortably warm. Much like its elder siblings, the Nano-Air Light Hybrid features FullRange synthetic insulation, which offers a surprising amount of warmth for such a light package, and stays mobile and stretchy as you run, post-hole, or ski your way around the mountain. DWR treatment protects you from errant moisture and light precipitation, while two hand pockets accommodate a pack or harness and offer respite for cold digits. Not to mention, the low-bulk cuffs feature subtle thumbholes for added coverage and easy layering.